I came back with 6 cartons of milk. “Why did you buy 6 cartons of milk?” asked Karen. Ruse ends with “War is a horrible thing. We should work together toward a bigger picture.” Almost no person in this world will disagree with that sentiment. War IS a terrible thing, and we continue to be involved in war year after year after year. Why? Is the answer in our culture? Or is it in our biology? Or, perhaps in our religion? Why do we, knowing of war’s consequences, continue to glorify it, to participate in it, to kill and die for it? That poem captures in its few verses the emotional and intellectual attitude toward war that we all should try to achieve, and the emotional/intellectual stance that Michael Ruse writes from in this book. This is a book about religion, primarily Christianity, about war and its causes and consequences, about biology, primarily Darwinism, and about the human condition. “Because we are sinners and ongoing sinners, war will be with us always. God promised David peace and tranquility. “And I will appoint a place for my people Israel, and will plant him, and he shall dwell apart, and shall be troubled no more” (2Samuel 7, 10). This is not for this world. “But if anyone hopes for so great a good in this world, and on this earth, his wisdom is but folly. Can anyone suppose that it was fulfilled in the peace of Solomon’s reign?” (Augustine 413– 426, 801). What is original sin? Do we have it; and, if so, is it religious or cultural or biological? Looking for a good review of Darwin’s theory of evolution? This is the book for you. Looking for a thoughtful review of Christianity and its relationship to war? This is the book for you. So, what about original sin? Ruse: “Am I now saying that the only way we get out of the traditional Christian take on war is by giving up Christianity? Absolutely not! One counter move is to go on defending the Augustinian position by insisting that no sophisticated Christian thinker today takes literally the story of Adam and Eve. An obvious way of executing this defense is by appealing to evolutionary biology. Inherited sin is not something that came about through the act of Adam but something that comes with our biological nature. We are sinners because, as Thomas Henry Huxley pointed out, the things that lead to sin are good adaptations for survival and reproduction. This not only explains sin, but shows why it is very unlikely that we will get rid of it once and for all. Even if culture can overcome sin, cultures change, and reverses occur. From the Weimar Republic to the Third Reich. This is a good book. Thoughtful and thought provoking – the problem of war is, I am afraid, one that will always be with us. 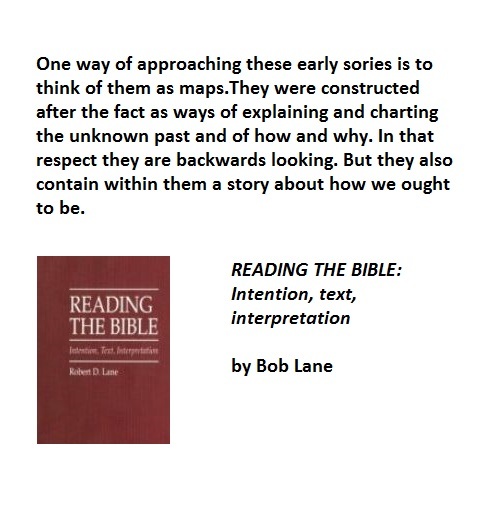 Bob Lane is Professor Emeritus in Philosophy at Vancouver Island University and a Korean Veteran.